Aircross boasts unique presence among SUVs with its overall balance and flowing design, giving the protective and welcoming concept car a strong identity and a resolutely optimistic spirit. – CONSUMMATE COMFORT FOR EXTRA ENERGY: The cabin brings occupants a new approach to car travel with a modern, bright, fresh and functional design generating physical and mental well-being. – TECHNOLOGICAL INTELLIGENCE FOR RELAXED MOBILITY: Dialogue and sharing are facilitated in a connected SUV with outstanding graphic interfaces and equipped with plug-in hybrid technology. 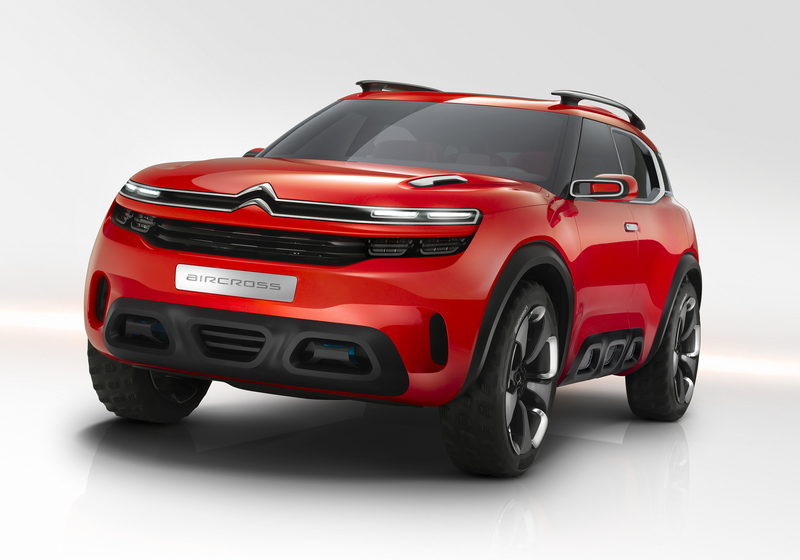 – INTERNATIONAL: CITROËN Aircross illustrates the Brand’s international ambitions, rolling out its positioning initiated with the C4 Cactus with a body style intended for sale around the world. – DIFFERENT: CITROËN Aircross shakes up design cues while respecting SUV essentials. Drawing on the product and styling traits of the C4 Cactus, the body design and cabin ambience express a sense of modernity and a singular spirit. 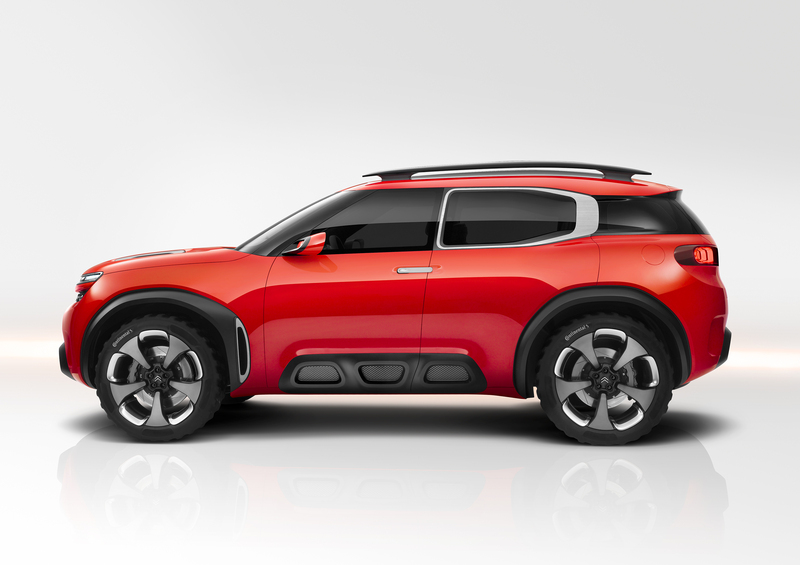 The new concept car shows CITROËN’s ability to assert its identity in all vehicle segments. A styling approach emphasizing functionality and aerodynamics. – An INVITATION TO TRAVEL in a cabin bringing an immediate sense of consummate comfort and the generation of energy. Everything inside CITROËN Aircross was designed to foster physical and mental well-being. In addition to the physical comfort provided by the broad and generous seats, well-being is further heightened by warm materials and a blend of light and invigorating colors. The purely-drawn lines with their crosswise emphasis suggest space, while the ample geometric shapes structure the uncluttered interior, each one combining aesthetics with functionality. CITROËN Aircross posits a new take on the travel theme with specially designed storage compartments and the use of straps in a fresh and contemporary cabin inviting passengers to take to the road together and in their own style. – TECHNOLOGICAL INTELLIGENCE harnessed for practicality, with occupants able to choose between sharing and an individual experience. 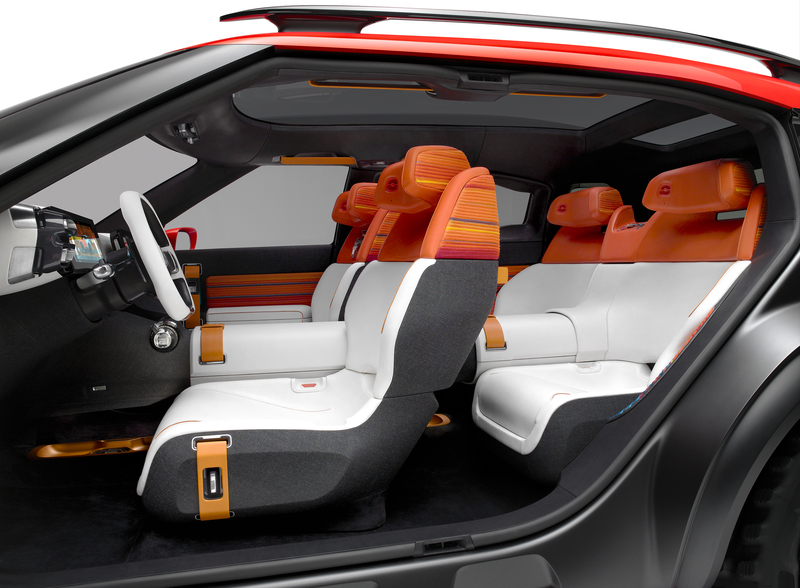 The concept car is equipped with two 12-inch HD screens, one of which is mobile and can be passed from one passenger to another. Each seat is equipped with speakers and microphones to encourage dialogue between passengers. Technological intelligence is also expressed in the choice of a plug-in hybrid drivetrain, combining efficiency and top-level performance. CITROËN Aircross features meaningful technologies for relaxed mobility and a new travelling experience. The CITROËN Aircross concept car will be unveiled at the Shanghai Motor Show, a symbolic choice of venue given the importance of the Chinese market for CITROËN, accounting as it does for 25% of total sales and standing as the Brand’s number-one market.